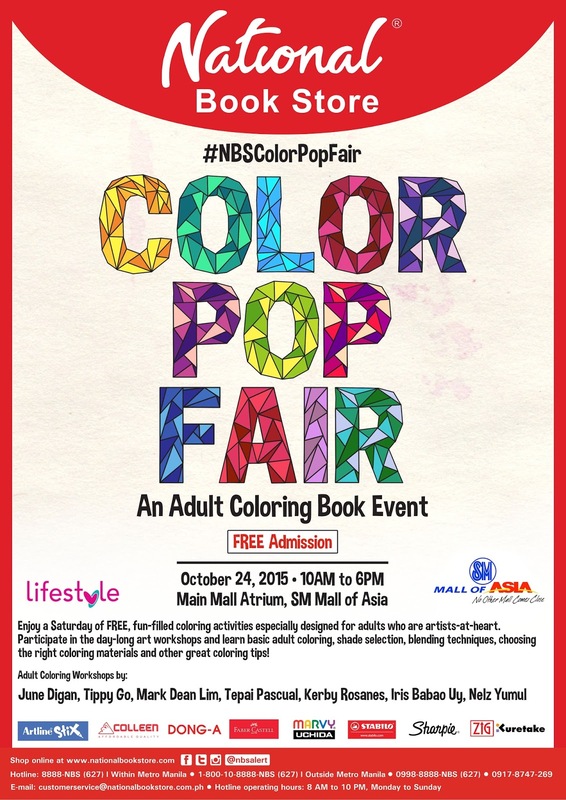 National Book Store, in partnership with Lifestyle Channel and SM Mall of Asia, will hold its first ever “Color Pop Fair” on October 24, 2015 from 10 a.m. to 6 p.m. at the Main Mall Atrium, SM Mall of Asia. Admission is free for all events and workshops. Registration starts at 10 a.m.
materials and other great coloring tips. Participate in the day-long art workshops. The Art of Doodling and Stuff – A Create and Collaboration Workshop by Nelz Yumul, Coloring Tips from the Googly Gooeys by Tippy Go, Tips on Doodling and Adult Coloring by Kerby Rosanes, Marvy Uchida Basic Coloring Demonstration by Tepai Pascual, and many more. All coloring sheets and materials will be provided. Plus! Get 20% off on all imported adult coloring books at the event only. Color your world and join the fun at National Book Store’s Color Pop Fair. The event is made possible in partnership with Artline Stix, Colleen, Dong-A, Faber Castell, Marvy Uchida, Stabilo, Sharpie, and Zig Kuretake. See posters or follow National Book Store on Facebook for more details. 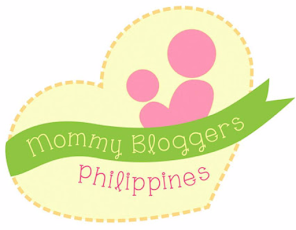 Shop online and buy eBooks at nationalbookstore.com. 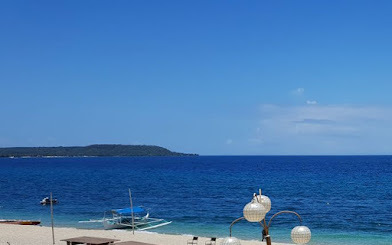 For reservations, call 8888-NBS (627) for calls within Metro Manila, 1-800-10-8888-NBS for calls outside Metro Manila, or text 0998-8888-NBS and 0917-8747-269. The National Book Store hotlines are open Mondays to Sundays from 8 a.m. to 10 p.m. Follow National Book Store on Facebook, Twitter and Instagram (@nbsalert). Tag #NBSColorPopFair to join the discussion. Yes, as long as the coloring books and materials were purchased from National Book Store, NBS Express and Powerbooks. Nice one book, also look for same ones here http://inspirationfeed.com/articles/design-articles/why-visual-designers-will-rule-the-web-of-the-future/ this is awesome article. So just post a more awesome articles!